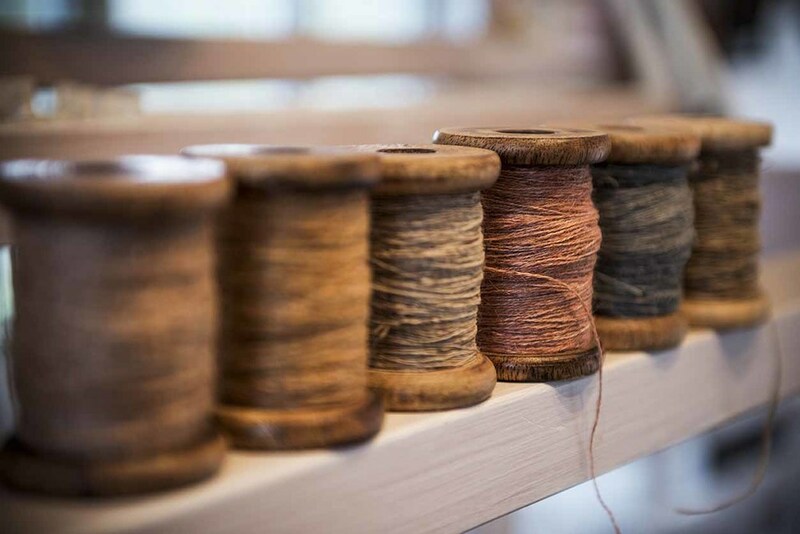 Deep in the Devon countryside, weaver Susie Gillespie is busy creating fabrics and yarn that hark back to a time long predating her 15th century barn. The linen cushions she weaves are inspired by ancient fabrics woven by early textile makers. Subtle geometric patterns are created in one or two colours, their muted tones reminiscent of a time gone by. Larger, wall-hung pieces are also inspired by prehistoric textiles and the ancient process of weaving. It is now 20 years since Susie started working as a weaver. She relishes the ability to work doing something that gives her so much pleasure. “I often feel a bit guilty as I have a lovely time,” she laughs. 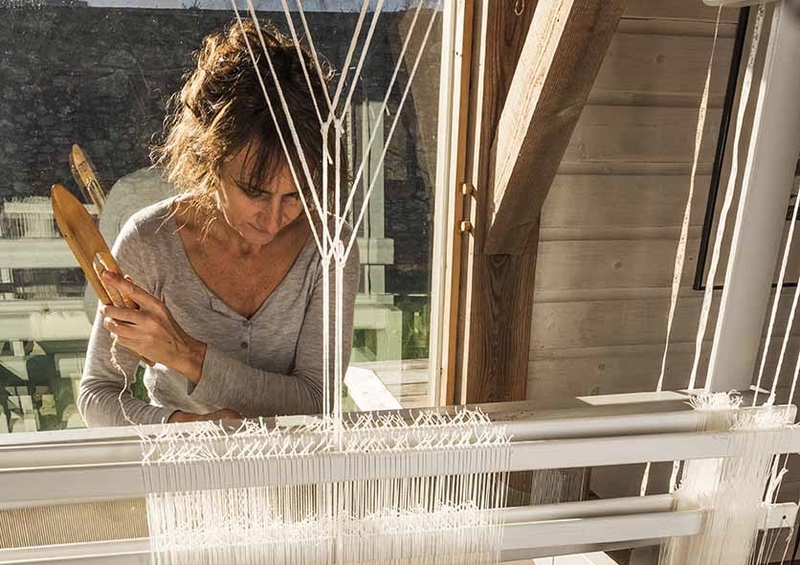 “I find weaving both emotionally and aesthetically satisfying.” She takes pleasure in the actual making process, the act of weaving, the slowness of its growth and the feel of the yarn. Her woven fabrics are influenced by her enduring love of early textiles. Like her own work, these were mainly woven in linen with small areas of pattern. She takes great pleasure in using the same ancient techniques and materials as those used by the ancient weavers. At the same time, inspiration also comes from objects surrounding her home. These include field and building outlines, shapes of barns, textures of stone and cob walls. This feature appeared in the Spring 2016 issue of LandScape.